For generations, a balanced diet was enough for us. But then came the fads. The latter half of the twentieth century and the twenty-first century gave rise to a whole host of fad diets. The Atkins Diet, the Dukan Diet, the Pritikin Diet, the zone diet and various soup diets, juice cleanses and formalized methods of formalized starvation found fame when they gained celebrity advocates and were used by Hollywood stars who needed to lose weight quickly to slim down for a role. These fad diets aimed to convince us that we’d been getting eating wrong our whole lives. They tried to make us believe that we’d dedicated our lives to an inefficient form of eating and that they alone held the keys to a healthier, happier, sexier version of us. They often demonized entire food groups (usually either fats or carbs), and bade us to eliminate them altogether from our diets. They promised quick and easy results and often they delivered. Cutting your caloric intake significantly and dropping an entire food group will often result in initial weight loss. But this inevitably leads to cravings and lapses and whatever gains are made are often lost just as quickly. History will remember our time as an era in which most of the population courted the risk of this dreadful disease. Modern cancer research has come an incredibly long way, with breakthroughs in gene editing meaning that a cure for this awful sickness could come within our lifetime… But until then, prevention remains the best cure. Those on a plant-based diet reduce their cancer risk in a number of ways. Plant-based diets are high in fiber and this has been directly linked to reduced risk of colon cancer. Unlike meat, eggs or dairy products, plants are rich in essential vitamins and minerals and contain phytonutrients which are essential for a healthy immune system and keeping serious illness at bay. It also means that they eschew processed red meats like bacon, salami, pastrami and pepperoni which have been labeled by the World Health organization as Type 1 carcinogens. It’s a common fallacy that eating right is more expensive than subsisting on processed convenience foods than ready meals. In fact, in many cases the opposite is true. 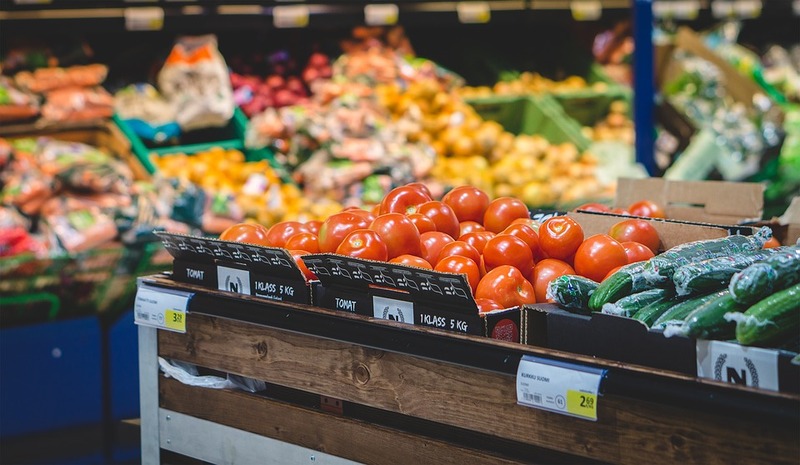 Fresh veggies, fruits, grains, and pulses tend to be far cheaper than meat, eggs, fish and dairy products and in most cases are less expensive than high calorie, low nutrient processed foods as well. This Time magazine article shows that vegetarians save around $750 a year more on food than meat eaters. The primary motivator for many to cut animal products out of their diet (as well as their clothes, shoes and beauty products) is because they’re voting against normalized animal cruelty in the only way that matters in a capitalist society… With their wallets. As our population grows, our animal agriculture industry is going to more and more environmentally damaging lengths to feed it. Raising animals for their meat, milk, and eggs utilizes far more land, water, and natural resources than growing plants. Animal agriculture is the world’s leading cause of species extinction, habitat loss, water pollution and ocean dead zones. In fact, 70% of soy grown on the planet is grown to feed livestock rather than humans. That should tell you everything you need to know about world hunger right there. What can you do? This spring, I persuaded my husband to stop eating his daily turkey sandwich for lunch to a big delicious salad (it took his stomach a couple of weeks to adjust so please keep this in mind as you increase your veggies and decrease your meat). If I’m not home to make him a salad, he will prepare a bag salad kit, and I’m really proud of him! This switch must be attainable and easy friends! Try going plant-based, or simply reducing the plants : everything else ratio in your diet. You may be surprised at how much you benefit. If you would like a daily smoothie, salad or other plant-based recipe inspiration, follow me on Facebook or Instagram! Wonderful post ! It is high time that we really need to switch to plant based lifestyle.